Sagres Diving House - Sagres, Algarve Guests overall rating: ★★★★★ 5 based on 5 reviews. This lovely and typical Sagres house has been in our family for three generations now we completely refurbished our home into a fully equipped house providing accommodation to welcome anyone who wants to experience Algarve. Apart from the odd piece, all furniture was refurbished right here with the help of some very skilled and caring friends – this was one of the ways we used to create a peaceful and loving energy that permeates our home. The Divehouse has two dorm rooms, kitchen facilities, living room and one bathroom in the main house. You are free to cook, use the fridge and all kitchen utensils and appliances for your meals and to chill, read, play games, watch tv, play piano and guitar and so much more on our living room. Outside the hostel, you can find proper relaxing areas – a veranda with a hammock right next to the garden, bean bags or just sit on the grass we keep for you. The studio is right next to the house and it is self-contained with a kitchenette, bathroom and a room for up to 4 people. Oh! And don’t forget to visit our dive centre, right in front of the main porch, to start or continue your diving adventure! If you’d also like to explore more of Sagres above the water, we have plenty of activities we can hook you up with. Come and visit! Only 4 beds per room! These are our two dorm rooms available with a shared bathroom. We keep only 4 beds in each room to allow you to fully enjoy our clean and comfy beds and rest after a full day of travelling or activities with us! The bathroom is right next to the dorm rooms for your convenience. Feel free to make full use of the kitchen to prepare your meals and enjoy your included breakfast in our common living room. Book your own private Bungalow! We have a private studio available that lodges up to 4 people. With it’s own kitchenette, you can prepare your own breakfast in the comfort of your studio. And don’t forget to visit your neighbours every now and again for some fun stories or for one of our spontaneous BBQ dinner-parties! Book your own private room! We have nine private rooms available, each one lodges up to 2 people. Pick one of our romantic suites with your loved one, or a confortable single bed room with a friend. Share your recipes with the other guests in the fully equiped kitchen and don’t feel shy to come in the living room for a chat. Ah, don´t forget to take your legs up at the lazy hamocks, at the back patio! Learn to scuba dive, safe and easily, while having fun. Whether you are a beginner, a waterman or a youngster, who dreams about breathing underwater or explore the mysteries of the sunken world, our enthusiastic and very professional team will provide the best dive training to suit everyone’s needs. If you are already a certified diver, you will find in Sagres fulfilling Scuba diving experiences, orientated by our experienced Dive Masters, who will show you the best of each dive site. Our PADI and SSI Scuba Diving School & Center is based at Sagres Dive house. Wake up in the morning and enjoy your breakfast, while watching our staff setting the tanks and your scuba gear, outside on the wooden decking. Join your Dive Master or Scuba Instructor, for detailed dive briefing, at the porch for comprehensive information about your dive safari and follow for the adventure. After your activities, enjoy our home facilities, rest on a hammock and join our BBQ dinner. Go for a sleep and let´s do it again! Sagres is a rich place for diving adventures. Famous caves like “The Cathedral”, breathtaking canyons like “The Shadow Canyons”, shipwrecks from World War I, coral reefs and Archeological sites, offer a great opportunity for underwater photography and memorable scuba diving experiences, either from a boat, shore or a Kayak-Ecodiving. We also offer weekly dive trips to the most recent sunken vessels from the Portuguese Navy fleet, the exciting Ocean Revival Project. At Martinhal Beach, a few steps from the Divehouse, you will find our home reef, a “Caribbean” like dive site. If you are a novice looking to try scuba, a certified diver feeling like a very relaxing shore scuba dive or to go for a snorkeling, you will love this site at our door. Don´t forget to bring your Certification Card and your Logbook! All dive trips price includes tank and weight belt. If you are a scuba diver, a Nature lover and not keen on touristic tours, we will take into an all new diving experience. From a Sit-on-top Kayak, paddle out with your scuba gear and a qualified guide, over a shallow reef, to explore magnificent cliffs and canyons, while watching sea birds and the endemic vegetation. If you ever wondered how is it to breathe underwater before starting any scuba course. Includes: Briefing, pool or confined water Scuba demonstration. Join us for your first experience under the water! Under direct guidance from our instructors, you will learn how to breathe underwater. We will help you on your first steps into the diving world – as you are introduced to the dive theory – and get you ready for your dive tour, with some skill practice. Includes: 1 theory class and 1 dive in confined/open water. Our Base is located in Sagres in the Divehouse. Sagres is a historical village surrounded by the Natural Park of Costa Vicentina, an ideal place for many outdoor activities, such as Kayaking, mountain biking, trekking, snorkeling, rockclimbing, horseback riding birdwatching, surfing, windsurfing and scubadiving. Along the Natural Park there is a blend of Mediterranic, Atlantic and North African Vegetation. There are some 750 species, where 100 are endemic, rare or local; 12 do not exist anywhere else in the world, some are considered to be vulnerable and other are protected by European Union. The birds are some of the main players of this area! Here they find an important migration platform between North Africa and Europe. The natural diversity of the bottom and the confluence of distinct water masses – Mediterranic, Atlantic and tropical Atlantic – as well as the upwelling of the deep water currents, are a major contribution for the presence of the high level of biodiversity. Little islands, bays and capes are excellent habitats for shelter, feeding, growing and reproduction of many marine species. The Outdoor Center will take you to discover the wonders of Lands End, the closest Sun Set from continental Europe, in sustainable and environmentally friendly ways. Discover the curious habitants of the shallow reef on a guided tour, after a briefing on Snorkeling skills and marine life. Paddle along the magnificent cliffs, over the shallow reef on clear water, visit coves and grottos, park the Kayak on a deserted and go Snorkeling. 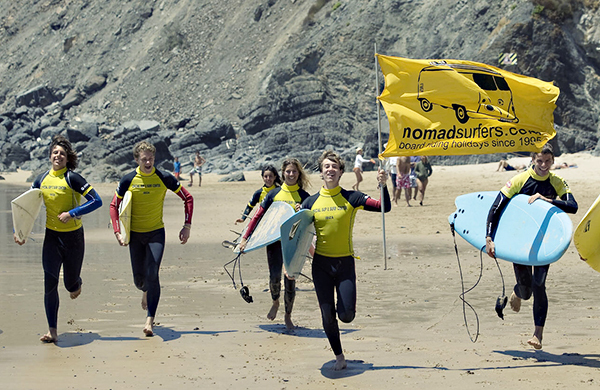 If you are an experienced surfer and you want to find the best daily surf spots with a local guide we´ll give you a ride! Rent our gear and explore the SW, with the aid of your detailed information and orientation maps. The Yoga and Reiki sessions are held by our host, the schedule can be arranged according to your needs. Special packages can be organized for groups, upon request. Once you get to Sagres, you´ll find the most precious treasure of Algarve, you´ll feel like you don´t want to leave. The people, the unique scenery, unspoiled beaches and a laid back atmosphere, are some of the ingredients you´ll get on a very special vacation. Everyday there will be a new place to discover and a new adventure to live. 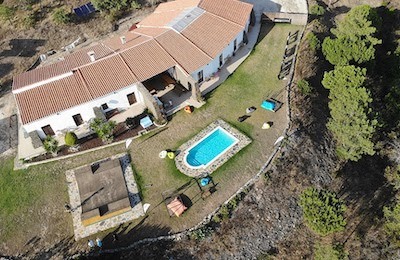 Located in a quiet and privileged area of ​​the picturesque and historic village of Sagres, 5 minutes walk to beaches, bars, restaurants, buses, CTT, supermarkets, pharmacies, shops and more, PuraVida offers activities for the whole family with the conditions Of a holiday home. The closest Airport is Algarve’s international airport in Faro. The distance from Faro to Sagres is 113 km. To get to Faro train or bus station (which are close to each other just before Faro marina) either get the bus from the airport (the stop is right outside the ‘arrivals’ doors) or get a taxi at a cost of around. No direct train so you have to get a train to Lagos then get a bus to Sagres. Take the bus to Lagos and change bus to go to Sagres. To check train timetables visit CP – Comboios de Portugal. (the site is available in English) and select ‘Regional and Inter Regional services’ to get the timetable for Lagos/Vila Real de Santo António/Lagos. For bus timetables visit Eva Bus. Again most of it is available in English except the ‘frequency’ on the tables. (Days of the week: Monday is the 2nd day of the week – ‘2as’-and Friday is the 6th day. ‘Sábado’ and ‘Domingo’ – Saturday and Sunday; ‘Feriados’ is holidays; ‘Diariamente’ is daily,). Bus times from the ‘aeroporto’ to Faro are also listed . For additional bus timetables visit Frotazul Algarve which covers a limited area of the Algarve. Become a proficient and independent diver by doing the Full Open Water Course, living close by the dive centre and hanging out with your instructors and other diving buddies. Come and Discover the underwater beauty with us. We will walk you through your first steps in scuba diving and even throw in a night at our lovely guesthouse. "My stay here was amazing! Joana, Cris and Isa try to make your stay as nice and easy as possible. You immediately feel at home in this little cosy house with its hammocks and a comfy community area with a fireplace. It's a five minute walk away from the beach and 5 10 mins away from the supermarket. All the other travellers at this place were very relaxed and everyone enjoyed the good vibes of this place. Cris gives yoga classes every Tuesday and it is definitely worth attending one after an exhausting surf session. Sagres itself is a great place for surfing due to its great variety of beaches around. I would definitely recommend staying here and I will come back in late summer! " "I came twice to Algarve with a rental campervan and felt in love with the nature, landscapes and local people from the first moment. I loved Sagres because it is still an unspoiled little fishing village with lots of charm and great fresh food offered at any little bar. As an experienced diver never heard of something worth seeing in this part of the Atlantic coast. However, last time I visited I was lucky enough to see some diving action in this part of the Atlantic sea. Then I met Cris. This being the first time staying at the Divehouse I am not going to need anything else than let the team organize my holiday. Just a couple things to support this statement: Best diving center in Portugal: They offer a wide range of dive sites and courses for all levels of experience. The material was mint and high quality. And also they have this new concept so I could take my friends with no experience in diving whatsoever to live an encounter with marine life the easiest way. PETER Diving System is a device that supplies air from the surface so no tanks have to be carried on the back and also no advanced technics have to be learnt (buoyancy control, decompression, etc.). Definitely the best way to introduce anyone to diving. Being in the most South Western point allows to dive in all conditions as if the swell / wind is coming from one side, the other side is calm and water is clear. 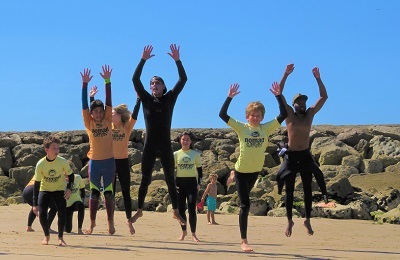 Even if the weather and sea conditions are not suitable for diving, they offers also yoga sessions, stand up paddle and wave surfing lessons and rental, kayaks, climbing lessons... What else can you ask!? Best bed & breakfast: From the warm welcome it feels like home. Delicious breakfasts, amazing accomodation facilities with BBQ place, hanging hammocks, cozy common spaces, 2 kitchens with an endless array of local cuisine books, most of the furniture and deco made by hand by Cris' team and put together with great taste to create a unique and relaxing atmosphere. This is also the first b&b I am staying in that they actually have 3 trash bins in order to allow the guests to recycle. Definitely coming back every time I get a chance, if not moving in forever soon. " 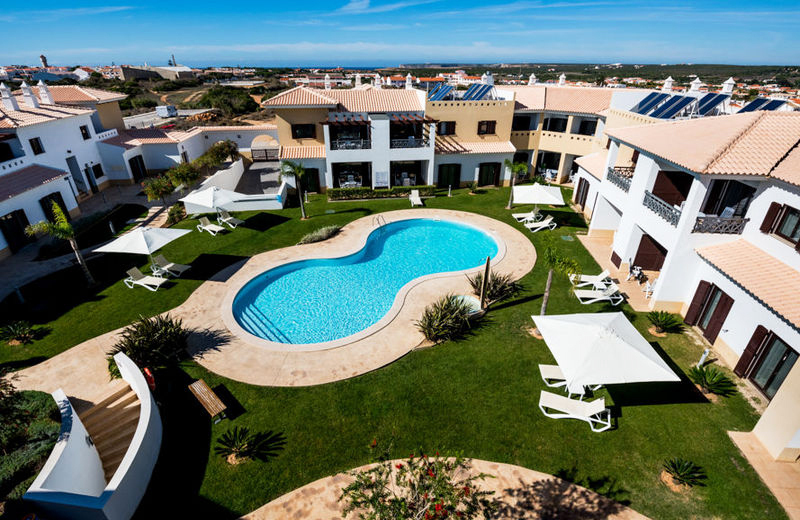 "It is a Beautiful place to stay...super clean, cozy and close to main atractions in Sagres. You can also rent a bike to go around and enjoy the place. The staff is very friendly and make you feel like you are at home!" "Loved to stay here! Nice and comfortable rooms and a relaxed atmosphere! Special thanks to Alex and Will who always cared about us and always willing to help in any kind of situation. Thank you 2 guys, you made my vacation unforgettable!! " Chilled comfy friendly and great location! "A lovely friendly place in a great location. The challet style accommodation was brilliant and great for two friends or couple with one child. The main house has great facilities and was a cool place to watch a film and catch up on the days surf and fun! Highly recommend! "